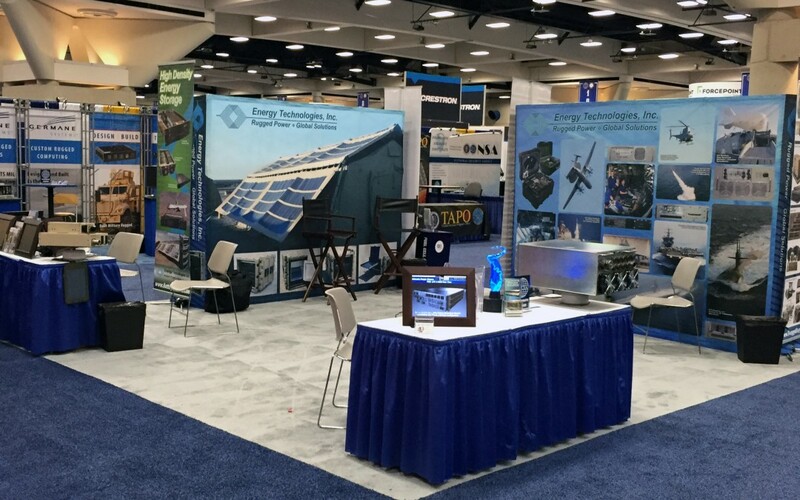 Last week Energy Technologies exhibited our products at the AFCEA WEST 2016 Exhibition in the San Diego Convention Center. There was a lot of interest in our new 1U Ultimate Power Source UPS product line. Each 1U module provides 2000Watts of power. We demonstrated a parallel configuration with a 4000Watt system in the picture below. Product Comparison Here. We also got to see the Firescout VT UAV copter. ETI provides backup power for the piloting systems on this program. ETI also showed off the development of our Tactical Fuel Cells which garnered much attention. Our next show will the AUSA Global Force Symposium & Exposition on be March 15-17 in Huntsville, Alabama.